1. He just celebrated his 40th birthday last month on February 2. At 40 he’s the youngest presidential hopeful with a significant chance of becoming Zimbabwe’s next president. The current Zimbabwean President, Emmerson Mnangagwa, turns 76 this year in September. Former President Robert Mugabe turned 94 last month. 3. Chamisa is a founding member of the MDC, which was founded in 1999. He was only 21 years old then. 4. At the age of 25, Chamisa became the second youngest Member of Parliament in Zimbabwe in 2003. 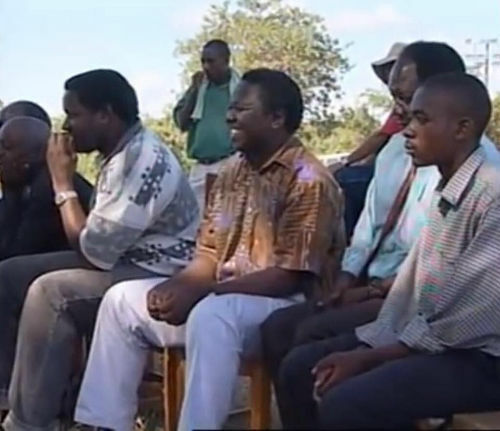 The youngest was fellow MDC MP Tafadzwa Musekiwa, who was 24 years old. 5. Chamisa announced his entry into politics during his college days when he was appointed Harare Polytechnic Student Representative Council (SRC) president in his first year in 1998. 6. In January 2017 Chamisa was reported to have lied to MDC-T party supporters at a rally in Mutare when he told them that he had met US President Donald Trump and had been promised $15 billion. The US government later released a statement denying Chamisa had been promised any such money by the US president. 7. In 2009, as Zimbabwe Minister of ICT in an inclusive government, Chamisa pushed for the removal of excise duty on computers and mobile phones. This removal of duty on these technology items is considered to have contributed significantly to the accessibility mobile phones and mobile telephony to more people in Zimbabwe. 8. Chamisa is a church pastor. 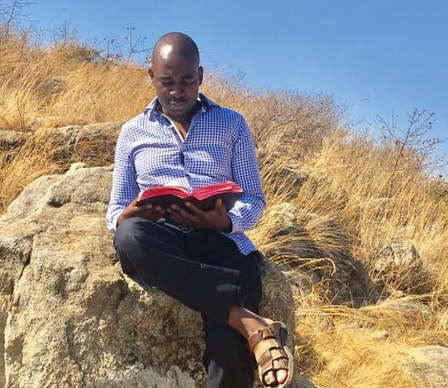 While a lot of people know that Chamisa is a lawyer (studied at University of Zimbabwe), few know that he is also a Pastor. In December 2016, he graduated with a Degree in Theology from Living Waters Bible College, an institution founded by the Apostolic Faith Mission in Zimbabwe. 9. Chamisa was part of the legal team representing Zuva Petroleum in a landmark Supreme Court case whose judgment triggered mass job terminations affecting tens of thousands of workers in Zimbabwe. Chamisa assisted advocate Thabani Mpofu in the case. The landmark ruling gave employers a lot of leverage in dismissing their employees without having to worry about payment of severance packages.The ruling is widely considered to have worsened the plight of workers in Zimbabwe. Thank you very much. We have fixed the error. What is number 3 saying? “4. At the age of 25, Chamisa became the second youngest Member of Parliament in Zimbabwe in 2003. Chokwadi anopenga mukomana uyu. Todya bullet train here. I will vote him as well. You saying isu meaning you and who? And me as well as many of our friends,their friends and families and families’ friends too. chamisa akuzvinyanya mamwe mapromises ummm?? Wen he says buĺlet trains it means he is a visionary thinker. May be zim wil be the 1st in the world to have these trains.you dont have to vote him if you dont believe. Aaaaah!! Chamisa mdhara guys. Kwete zvenyu zveharahwa dzekuhondo. chamisa iz a real guy not that.